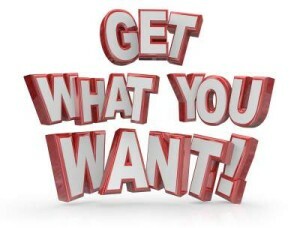 When you use the Law Of Attraction you first have to know what you want. And it’s best to decide about what you want on the basis of your feelings and intuition, for then the things which you create and draw towards you will be in accord with your highest good. These are also the things that will surely manifest most easily, and lead you to the place of greatest personal benefit. You can understand, I’m sure, how manifestations that make your heart sing with joy are the ones which will most readily impact the evolution of your soul on the planet. That’s not to say that manifesting material goods or money is against the universal law – or wrong in any way. The law of attraction is completely unemotional and rational. It makes no moral judgments made about you getting what you want, or trying to appeal to materialism…..
Manifestation and the law of attraction go hand in hand. What’s important, however, is that you manifest things which serve you in some way, because only by working for your own highest good will you generate the positive emotions which make it easy to manifest things in the future. In any case write down a list of what it is you want, and hold that list precious. You may care to keep it on an altar to honor it, or you may want to take it with you everywhere you go. 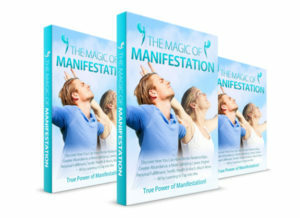 Certainly you will help the process of manifestation if you look at it several times a day to keep your objectives, your desired outcomes, clearly in mind. Your desired outcomes should be things that you are passionate about, things you desire intensely. They are also things that should be fulfilling, because that is often what we most desire. Think about your desired outcomes often: meditate on them, and send them energy (appreciation, gratitude, love, intense wanting, anger…. whatever you can summon up). Yes, understand that sending your wishes out to the universe requires energy. If you can generate emotional intensity, your chance of manifesting anything with the law of attraction is much greater (and that intense emotional energy can be anything: desire, or gratitude, or joy, or even anger). And here’s some information on why it may not be happening…. Keep silent about what you want, because talking to other people about your hoped-for miracle creation certainly will dissipate the energy. If you must talk to other people, do so only to those of like mind who understand the process of manifestation and share your desire for success. Remember to maintain your belief in the way that’s most easy for you: the classic advice is to act and think about the miracles that you are creating as if you already have the results you desire. There are, as we’ve seen in the previous post, other options. And if you feel your intuition moving in a particular direction then follow it, because this may well be a signal from the universe about how you can make manifestation occur more easily. And don’t be too serious: be light-hearted and joyous. After all, you are now a miracle worker! One of the things that we know about manifestation is that you can’t possibly know in advance how the universe is going to deliver your objective. So don’t waste any time trying to work it out – just simply accept that it will happen. Some of the most surprising events may take place, involving coincidences and synchronicities which bring you into contact with the people and places you need to manifest your miracles. This is where gratitude is a powerful force. You cannot know, and indeed you do not need to know, because it is no business of yours, how the universe will manifest your desires. But what you do need to do is express gratitude and thankfulness. Equally, it’s important to avoid worrying, doubting, and disbelief. Your thought forms are very powerful indeed, perhaps more powerful than physical objects, because thoughts are not constrained by physical form and consist of pure energy. Whenever doubt creeps in, do something to reinforce your belief. Remind yourself that it’s only your mind which cannot understand the nature of manifestation and the universal law of attraction. Believe in the power of the universal law, follow every twist and turn and watch for the next move. And know that this law of attraction will give you excitement, enjoyment, and fulfillment beyond anything you can imagine at the moment. You will experience coincidences that startle you – and the reason they will startle you is because you won’t understand the mechanism by which they come to pass. Again, I tell you – that’s how it’s meant to be! How the universe manifests the things necessary for you to achieve your objectives is no concern of yours. All you have to do is to be ready to receive, and maintain your faith. And there is one other thing you must do. You must work towards your objective. Not necessarily in a big way, but you must take some action that demonstrates your willingness to receive, and your commitment to the process of manifestation. You see, the more you trust the universal law of attraction, the more willing it is to cooperate with you – although in actual fact that’s a misnomer, because it has no willingness. How much response you get depends entirely on how much energy you put in. The more energy you put in, the more the universe will communicate with you. The more you trust it, the more quickly it will manifest what you want. You see, by feeling gratitude, by maintaining belief, by sending out emotional energy, you demonstrate your attunement with the universal law. This attunement gives you more power and ability to influence what you want.